This is a very powerful tea app that lists just about every tea known to man. 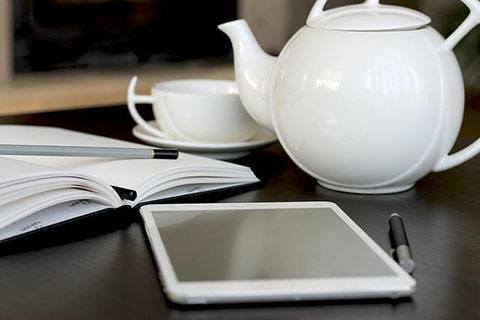 With this app, you’re going to be able to log every tea brewing experience you’ve had. So let’s say that you made a cup of chamomile tea in the morning. After you’re done, you would log the amount of tea used, the temperature and how long you brewed it for. If you liked the taste afterwards, you could save it; however, if you weren’t fond of the taste, you could create a small note. This is a great way to play around with mixtures and find something that you truly enjoy. This free app is meant to be used with Teavana tea only. On the main screen, you can either choose from tea recipes that can be mixed with the blender or a timer for a specific tea that you purchased at the store. With this timer, you will be able to brew the perfect tea every time you brew. Tea Time! is a simple to use app that allows you to choose the tea you’re brewing, how you want it to taste and how you plan on brewing the tea. When you select everything from the sliding menu, a timer will begin and will alert you when it’s ready to stop brewing. Aromatic is geared toward both beginners and veteran tea drinkers. This app is filled with more than 50 sorts of teas, tasting notes, a simple brewing guide, search engine and pictures of what the tea is going to look like. This is a nice app to download if you’re eager to try new teas and learn more about their tastes. Those who tend to drink a lot of tea with friends will find themselves loving this app. With this app, you will add the names of your friends, their photos and common tea choices they usually make. Once you have added this information, you simply shake the phone to find the loser of the day. The person who shows up on the screen, known as the loser to the app, will have to head to the kitchen and create everyone’s favorite tea. While most tea apps on the market either deal with a timer or as an informational guide, the Tea Quiz for Android takes a different approach. With this app, you can test your tea knowledge and see how much you truly know about tea. This is a great way to learn about the tea you’re drinking and potentially learn about teas you may have never heard of. To make your tea drinking experience even better, highly consider downloading a handful of these apps to see if they can make a difference.